Ikea showrooms look like film sets. 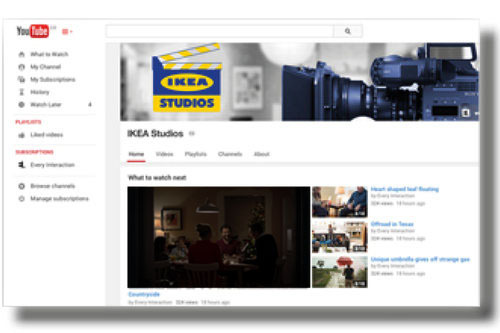 So, because Ikea wants to create a better everyday for the many people, why not carry their vision into the the film industry? Ikea will offer their showrooms to students and emerging filmmakers, for filming purposes, during non-business hours. As a result, customers will get to watch Ikea’s catalogue on the big screen. Youtube will air the series, a shareable platform where filmmakers can promote themselves. The best short films will pre-roll at movie theaters. In-store customers will have a chance to watch full-length films right at the location where they were shot.